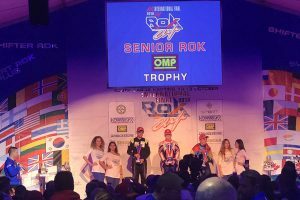 The 2018 edition of the Rok Cup International Final completed Saturday at the South Garda Karting facility. Over 400 drivers from 51 countries converged in Lonato, Italy to compete in the seven categories around the famous circuit. The final round of heat races were contested before the main event grids and B-Main lineups were decided. There was much anticipation for the North American contingent with hopes of podium results in multiple categories. In the end, a fourth B-Main victory was earned by Team USA at the event, while a total of four drivers from North America stood on the podium following the main events. 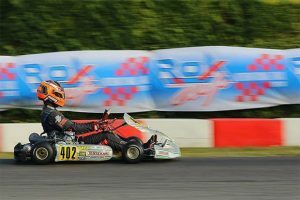 Six of the North American contingent made the 34-driver Final, seven including USA license holder Akshay Bohra who resides in Malaysia and competes in Europe often. Leading the charge was Jamaican Alex Powell, starting on the pole position. Powell led the first five laps of the Final, until he slotted into the second spot. He remained there until the last lap, searching for a way past. The leader ran a defensive line in the final corners, with Powell running wide lines to try and get past. They drag raced to the checkered flag, with Powell coming up short by 48 thousandths of a second. Bohra, who started third, was a close third at the checkered, putting two North Americans on the podium. 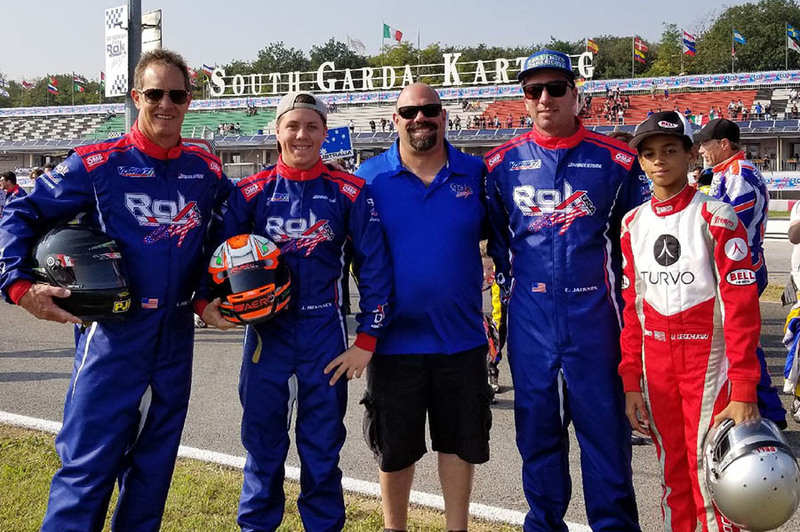 The top Team USA finisher ended up being Carson Morgan, as the two-time SKUSA Pro Tour champion was running in a pack that included United States Pro Kart Series champion Kai Sorensen, Nikita Johnson and James Egozi. They all completed the race, finishing inside the top-25. Six drivers from North America made the big show, and with four starting inside the top-12, there was great confidence in good results forthcoming. A super fast start ended up leading to a few incidents, including four drivers in two separate wrecks in the opening laps. Among them were USA drivers Connor Zilisch and Joseph Brienza along with Canadian Dale Curran. Zilisch, the 2017 Mini winner, and Curran had their races end short with Brienza dropped to the back. These wrecks brought out a full course yellow for three circuits until the race resumed. At the front, Challenge of the Americas champion Ugo Ugochukwu started on the outside of row one and grabbed the lead at the start. The full course caution brought the field back to the bumper of Ugo, and after the restart, he fell back to fourth. He fought his way back to third, earning a trip to the podium. For the second time in the event, an American has won the B-Main, or what was labeled the OMP Trophy race. And for the second time, that driver is a female. Morgan Healey won the race back in 2015, and now Connecticut driver Emma Delattre joins her on the list of event winners. Delattre started on the pole position and led all but one lap, holding off a strong challenger in the final corners for the victory. Veteran racer Marco Di Leo led the Canadian squad, working his way up 13 positions to reach the top-10. Challenge of the Americas champion Jim McKinney worked up into the top-20, only to suffer a pushback bumper penalty. Representing Rok Cup USA, Brazilian Eduardo Barrichello was the lone driver in the main event, ending up in the top-20. Podium expectations were on the mind of Ariel Castro. Starting on the outside of row one, Castro was shuffled back at the start, dropping to fourth. He worked back to third, running down second place when a mechanical issue put him on the sidelines on lap 11. This handed over the top Team USA spot to Erik Jackson, who was in a tight battle all race long with Canadian Giuseppe Crupi. Jackson prevailed in the fight, placing fourth overall and third in the Expert division with Expert Plus winner finishing third overall. Crupi would finish as the top Canadian, fourth in Expert. 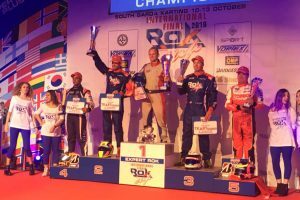 Making it three drivers representing Rok Cup USA on the podium, Florida Winter Tour champion Magno Gaia from Brazil placed second. Canadian John Cariati was the highest North American in the Expert Plus division after a 10-second penalty dropped Team USA driver Tim Meyer from that spot to ninth. 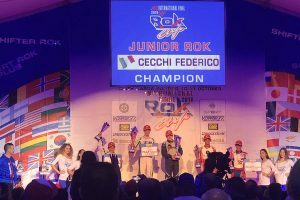 The week in Italy was not a very eventful one for Jace Denmark-Gessel, the lone North American in the Super ROK category. Meaning there were no major issues for Jace or any particular highlights that stood out. JDC remained inside the top-20 all week in his first start in the Super ROK division, and was able to gain four positions in the Final to reach the top-15. Eyes were on Formula One driver Rubens Barrichello in the Vortex Trophy race. Starting fifth, it was assumed he would fight for a podium position. Everyone was correct with the Brazilian working his way up to the lead by lap four. Swiss driver Gabrio Bizzozero was able to run him down, and the two made contact when fighting for the lead. Rubens fell back to P6, fighting back to third spot by the end of the Final. Bizzozero crossed the line as the provisional winner, handed a 10-second penalty for the contact with Barrichello. 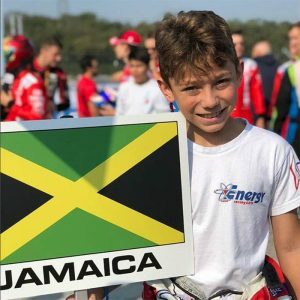 The penalty then promoted Orlando Kart Center’s Andre Martins to the fifth spot as the top finishing Team USA driver. Justin Luik finished as the top Canadian, making it to the top-10 while Challenge of the Americas vice-champion Nick Firestone advance five spots in race. A bad start by the sixth place starter held up five-time US Rotax Grand Nationals winner Daniel Formal at the start of the Final. The Costa Rican lost two positions, and spent the rest of the race fighting back forward to get back to 10th. The contact at the start likely pushback bumper penalty, thus dropping him out of the top-10. Isaac Marritt was the lone Canadian in the Final, improving four spots in the 20-lap race.